Think back to that heady, adolescent moment when first you realized that the power to control your own life was within your grasp. The epiphany that you had the ability to do what all the grown-up folk around you were doing, from driving a car and staying out late to cultivating a career, building romantic relationships and nurturing your own talents and interests. 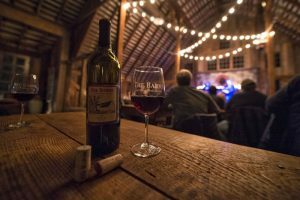 The Barns at Hamilton Station Vineyards offers an intimate setting for performers during the Songs, Stories & Gas Money concert series. Armed with this insight and the fiery passion necessary for any artist to thrive, the Danville native evolved his musicianship from mastering Jimmy Page’s blistering guitar solos to the sunlight-streaked sound of his 2015 EP, “When You Need Someone, Vol. 1.” The five-track record recalls lazy fall evenings at high school football games, the golden, flower-scented hair of a first crush, the comfortable, 90s pop sensibility that invites listeners to consider the simpler things in life—love, trust, commitment. Arriving at this polished product—Meadows’ debut solo release—involved years of work and dedication. 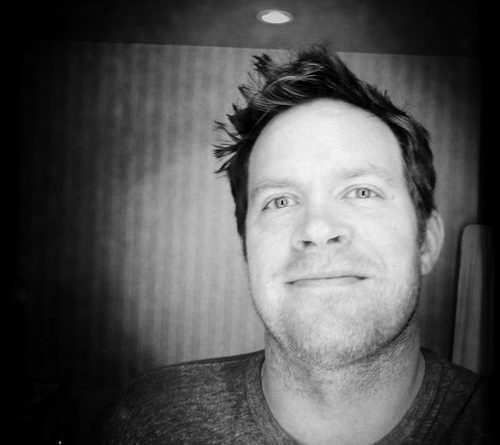 Meadows studied at James Madison University, earning a bachelor’s degree in cello performance in 2000 and, upon graduation, enjoyed success playing in regional acts including Small Town Workers, MoneyPenny and others. In 2007, he moved to Nashville, TN, to wield the ax for “American Idol” alum and country music star Josh Gracin. Then, in 2009, Meadows secured his current bread-and-butter gig, playing guitar, banjo and most any other instrument thrust into his hands for The Agency, superstar Taylor Swift’s tight backing band. This weekend, Meadows will turn away from the expansive venues he’s become used to playing in favor of The Barns at Hamilton Station Vineyards’ more intimate environs. Loudoun Now caught up with Meadows to get a sense of his perspective and plans ahead of his performance. Loudoun Now: Talk about what it’s been like to grow your professional career from playing in regional acts to working in Nashville and, most recently, playing and touring with The Agency. Mike Meadows: Moving to Nashville turned everything on its head. I found that I could make a living doing music solely, albeit as a side man. Moving to Nashville also brought a lot of new instruments to light for me. Banjo, mandolin, keys, etc. Making the change from playing clubs to playing arenas and stadiums was pretty easy as far as the music goes, but the jump to each level isn’t without a few nights of extreme nervousness. The nerves are a good thing. Sometimes they make you play better or pay more attention. My expectations for my career as a musician have been far surpassed and my bucket list has certainly been whittled down over time. However, playing big rooms all the time just makes the more intimate shows, like Songs, Stories & Gas Money, that much more special. LN: Where do you find your inspiration when songwriting? Meadows: My inspiration shifts from song to song. For so long, I listened to so much sad music that it permeated my own songs, but then I met my wife and went on a streak of writing songs with a much more hopeful message. Once I moved to Nashville, I found myself writing with other people, which is a fun process in and of itself. Having a variety of life experience in one room makes the twists and turns of a song so interesting. LN: Who are some of your greatest musical influences? Meadows: Growing up my favorite record was Jeff Buckley’s “Grace.” That record was lodged in my brain for at least a decade. Then I was introduced to a guy named Justin Currie, who was the singer for a band called Del Amitri in the ’90s. His songs really provided a road map in that they taught me how to get where I wanted to be musically. As a songwriter, duh, The Beatles were a huge influence. LN: What’s your goal when setting out to write a song? In other words, how do you know you’ve got something—describe that moment when a song feels right. Meadows: Well, there’s the emotion and message of the song that needs to be properly conveyed to a listener who may or may not be going through what the song is talking about. That can be the tricky part. You definitely know when you hit those hard-to-reach places that can put someone in the middle of this story. Hitting those marks is a big goal for me. There is nothing like the feeling of finding the little nugget of a chorus that just pops out at you in the right way. It’s like Christmas morning every time. LN: You’ll be ringing in the New Year as the first Songs, Stories & Gas Money artist of 2017—how do you plan to boost concert-goers collective attitudes after the chaos of 2016? The people have been bummed out! Meadows: I share in the bummery of 2016! The music community in Leesburg, Hamilton and Loudon County in general has such a familial vibe. I can imagine these kinds of get-togethers are therapeutic in and of themselves. We’re gonna have a good time, for sure. Doors at the historic Barns at Hamilton Station Vineyards open at 7 p.m.—advance tickets are $15 or $25 upon arrival. For details about upcoming Songs, Stories & Gas Money performances, go to thebarnsathamiltonstation.com or call 540-338-5309.